Time for one of the best quilt shows around - an online show that all can visit. I enter not in hopes of winning, but to participate and share in the experience. Here's my entry in the small quilts category - measures 27" square for Amy's Blogger's Quilt Festival, 2014. I used several techniques in this quilt. First, the hexagon flowers on green top was given to me by a friend who got it from another friend. After languishing in my UFO pile I decided it needed to be finished. So I machine appliqued it to the background with a straight stitch and a walking foot. I then decided the flowers needed leaves so I raw edge appliqued the leaves onto the top. I hadn't a clue how to approach quilting hexagons, but after reading Karen's posts on quilting hexagons at Faeries and Fibres I jumped into quilting it. You know that old adage: fools rush in..... It's not near as good as Karen, but if I don't practice, no progress will be made is my philosophy. Have you entered a quilt? Would love to see what you've done this year. Thank you Amy and Karen for enriching my quilting endeavors. 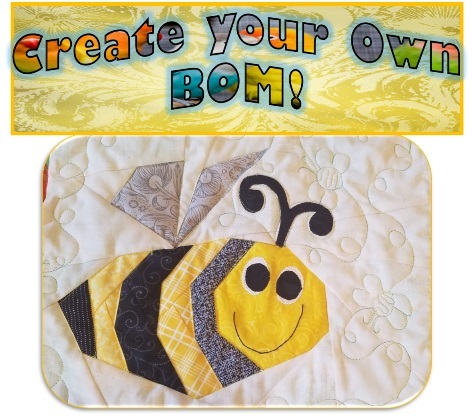 Your quilting is fabulous, well done! I think your quilt is very pretty. What a lovely quilt!! 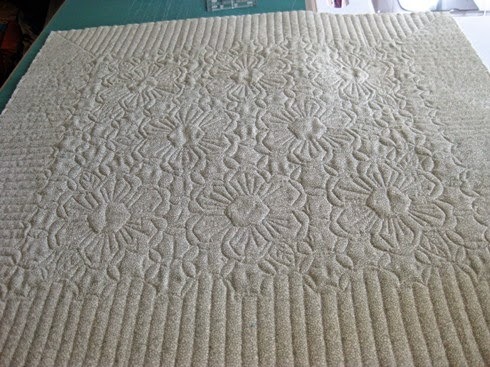 I think it's great that you jumped in and machine quilted it, I wouldn't be so brave, and your quilting looks wonderful!! It's gorgeous!! The back is almost as beautiful as the front. 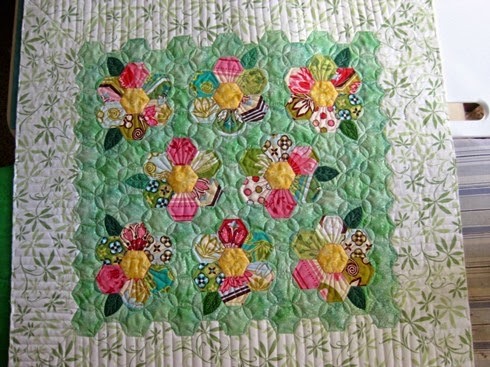 Love, love, love the quilting!! Good job! Thanks for the link to Faeries and Fibres!! 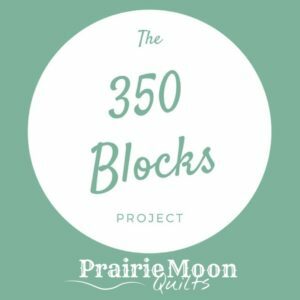 Looks like a great blog. Wow! I think the quilting is gorgeous! I'm working on a hexagon quilt & I haven't a clue how I'm going to do the quilting. Have a super day! Angie, Your little hexie quilt turned out great! The lady who won it in the Mystery box drawing loves it. Thanks for doing the finishing. Great Job!! I have not entered a quilt, which is just as well since so many of my friends have! Good choice for your entry. Don't be so hard on yourself on your quilting ... I think it turned out spectacularly! And I love what you did with the hexie top you were given ... genius! Good luck! This looks terrific! I think you nailed it on the quilting as it really accentuates the hexie design without overwhelming it--a common challenge. 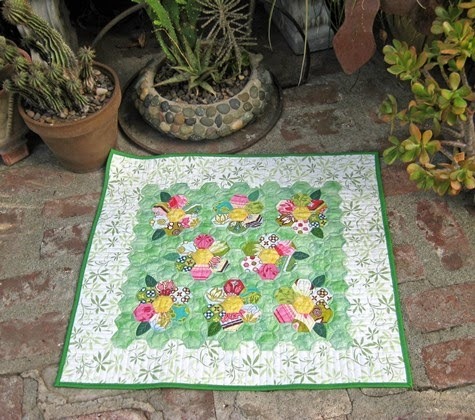 I love that floral border--the whole quilt is really beautiful. So pretty green for your lovely quilt there. I hope you will win something! Cute! I love how you finished this UFO. This is very pretty! The quilting is beautiful!